Tone is how a movie feels. Is it serious? Funny? Scary? Or sappy as hell? Typically a film should establish its tone in the first 5 minutes or so. Disney’s Hunchback of Notre Dame gets a lot of criticism for having a confused tone. It does have fart jokes mixed into a story that features Lust, Murder, Corruption and Genocide. But is the tone actually confused? No, the film presents the tone in the first five minutes, it’s an animated drama with bursts of levity mixed with darker elements. 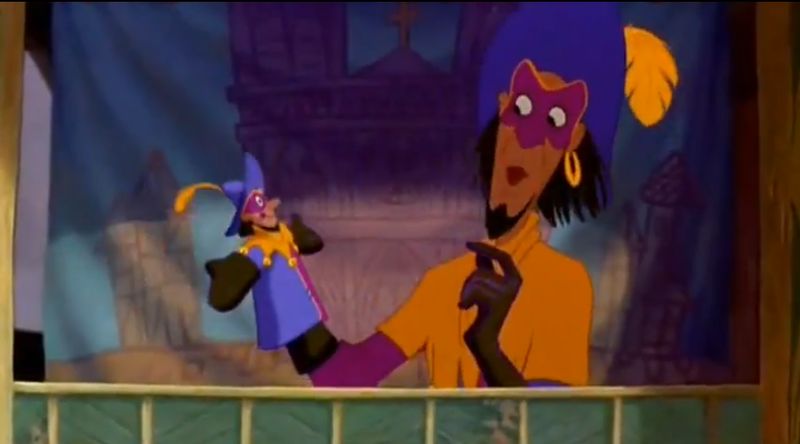 In the first five minutes we’re are introduced to Clopin, who while singing “The Bells of Notre Dame” is performing a puppet show and making jokes to children. So while Bells of Notre Dame does have some dark imagery, the humor was already established in the core narrative before the darker notes were introduced. Also, it’s is important to think about the gradation of tone throughout the film. The film doesn’t go from farts joke to Frollo’s insane lust. The movie allows the tone build up to either a dark place or silly tone and then back again. 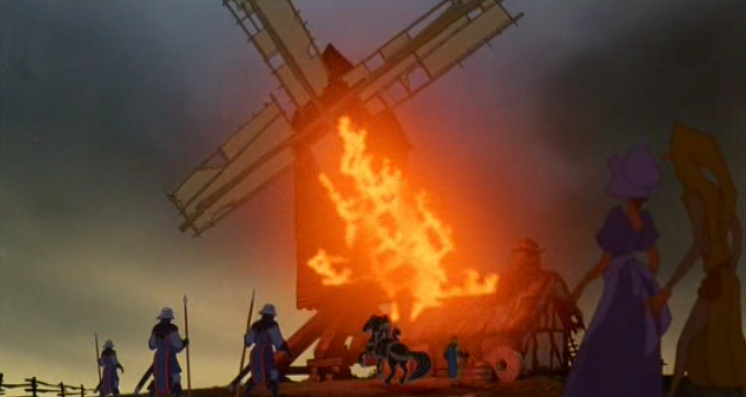 For example, Frollo goes into his more severe method for hunting Esmeralda following Hellfire, this includes his burning the miller’s house and the attempt to kill Phoebus. These scenes with their darker tone shift when the film moves back to Quasimodo and the gargoyles. 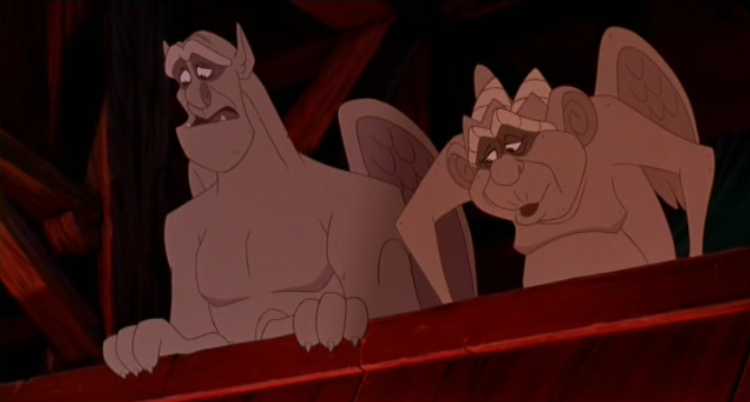 If the tone was confused the gargoyles would have make fart-like jokes following this shift in focuses of characters but instead they worry about Esmeralda and from there the jokes get progressively lighter and sillier, up till “a guy like you” ends. This shows the film has a handle of the different tones in its narrative. Perhaps my years of watching Bollywood and anime has allowed me to see that multiple tones can coexist in a drama-driven story as long of the tone has gradations to its tonal shifts.